Backing onto greenspace, the 2016 Hospice Dream Show Home is officially on the open market for anyone to make their own. From top to bottom this home flaunts top end design elements by local area businesses made to impress. It has a beautiful open plan with hardwood and quartz kitchen, cape cod flooring, a fun and practical sliding barn door, corner stone fireplace and nouveau rustic lighting. 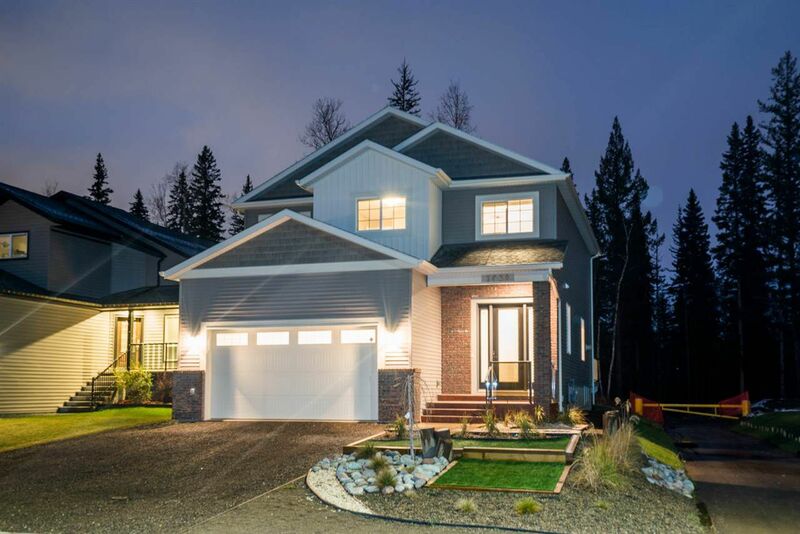 Upstairs are 4 large top floor bedrooms each with walk-in closets and a master with vaulted ceilings, and huge 5 piece ensuite with freestanding soaker tub and separate glass shower. The basement is set up for a one bedroom suite with separate entrance.